At Kyden machine, we strive to provide consistent quality. Many of our employees have over 30 years in the industry. No product leaves our doors without it meeting our quality control standards. 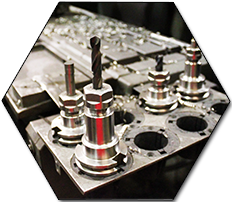 With so many machining services at your disposal, Kyden Inc is armed and ready for whatever metal projects your company has in mind. Whether you just need a relatively simple product completed or have complicated specifications that need to be met, we have the machines and techniques needed to meet and even exceed your expectations.